Although pre-purchased tickets are not required for those flying to the event or camping under the wing of their own plane, it does help us with planning purposes and limits the amount of cash you need to bring. 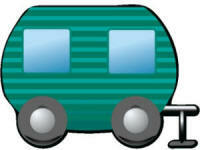 If you plan on driving to the event and/or camping in the auto camping section (tents, motor homes, campers, etc. ), we highly encourage you to pre-purchase admission tickets as we limit the number sold to the first 750 and we only have 30 auto camping spots available. Local media attention has been more than usual this year and we anticipate having a record crowd. Therefore you should buy early to avoid disappointment later. Next, you've been asking for this and we've been trying to make it happen. This year we are finally able to take a huge step as far as our event goes. What is it? We have a single food vendor that will be selling food from Friday lunch until Sunday breakfast. What does this mean to you? There are no pre-purchased food tickets and we will not require RSVP's for any meals. Please note that we do not receive ANY compensation from the food vendor and instead have asked them to keep their prices reasonable for all of you. So, please support this vendor because without them, the event would cease to exist.